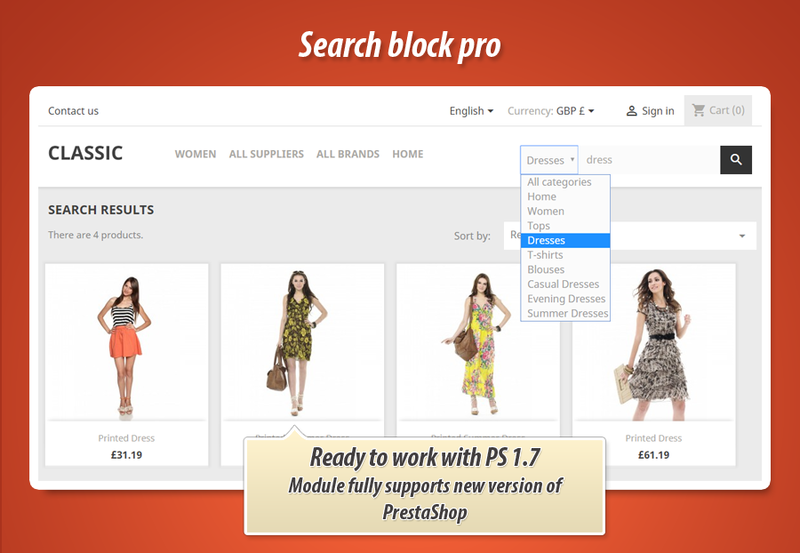 This is search block module for PrestaShop and it contains additional features like searching inside selected categories or by selected manufacturers. 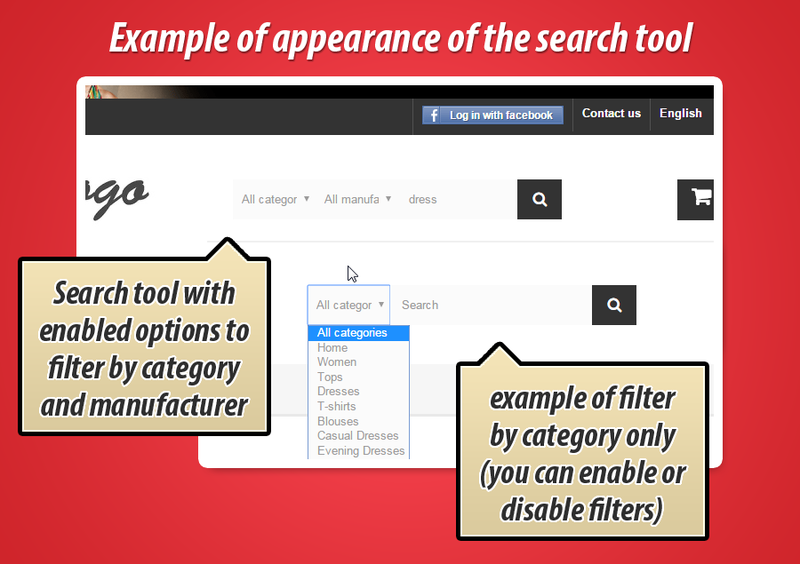 With these features you can filter search results and find products easily. 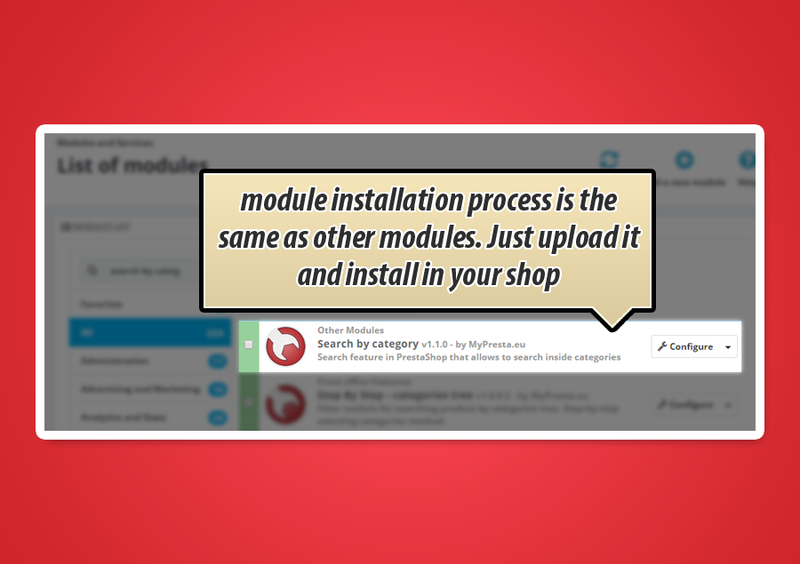 Below you can read what features module contains. 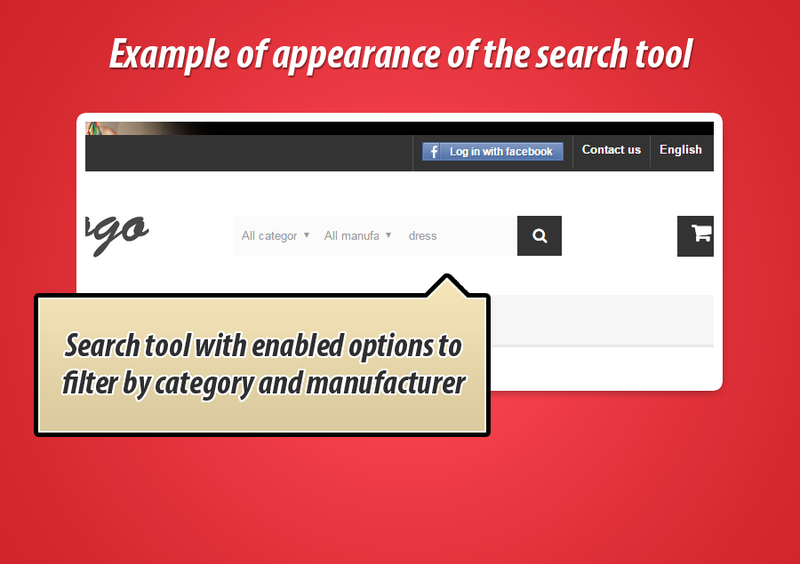 In addition to this module contains feature to "smart search". 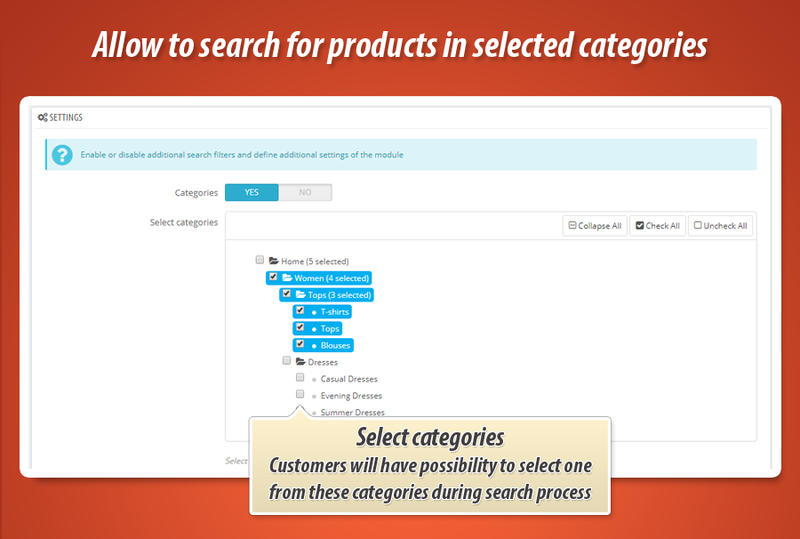 This feature automatically selects category from dropdown while customer browsing category page. It works in the same way for manufacturers. 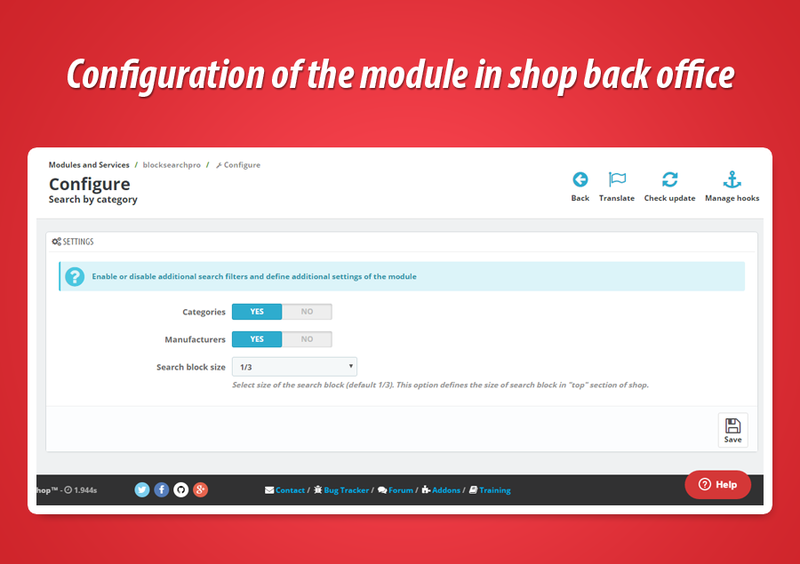 If customers browse the manufacturer page - this manufacturer is automatically pre-selected in dropdown selection box with list of manufacturers. 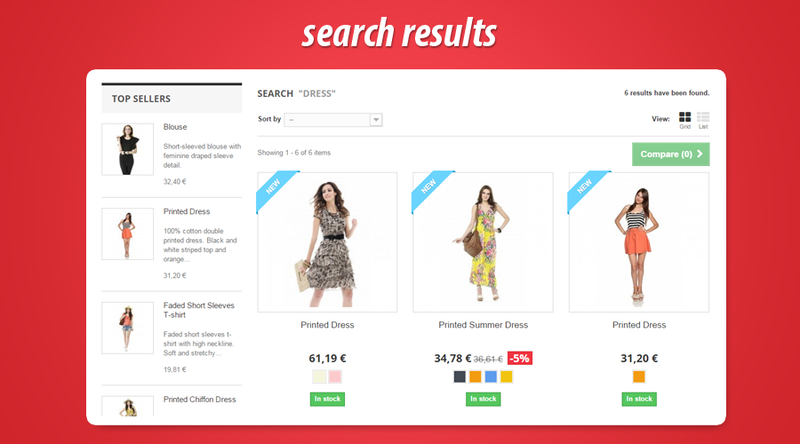 "Smart search" is also a feature that "remembers" selection while customers explore search results. 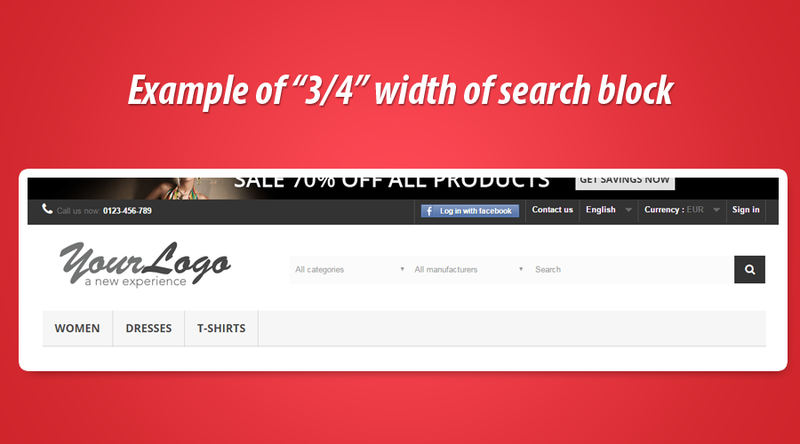 module allows to define how large search block will be in your shop. 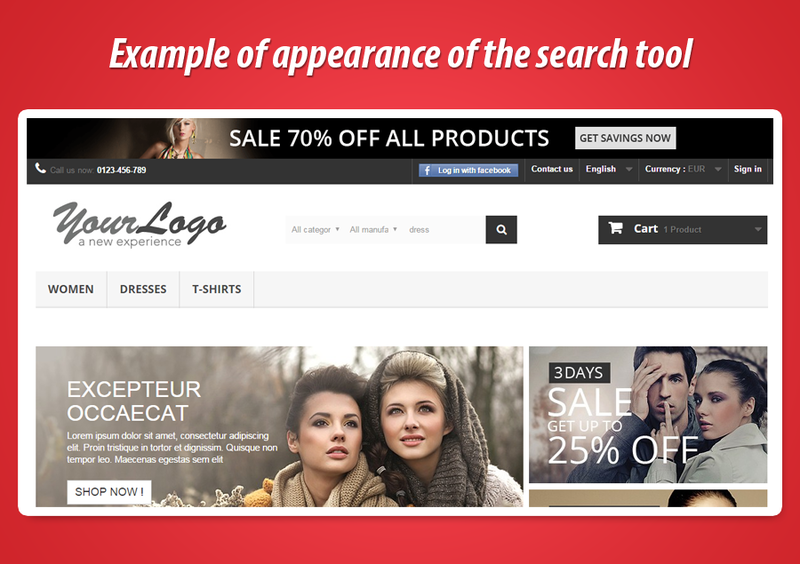 This feature is responsive based on bootstrap engine. 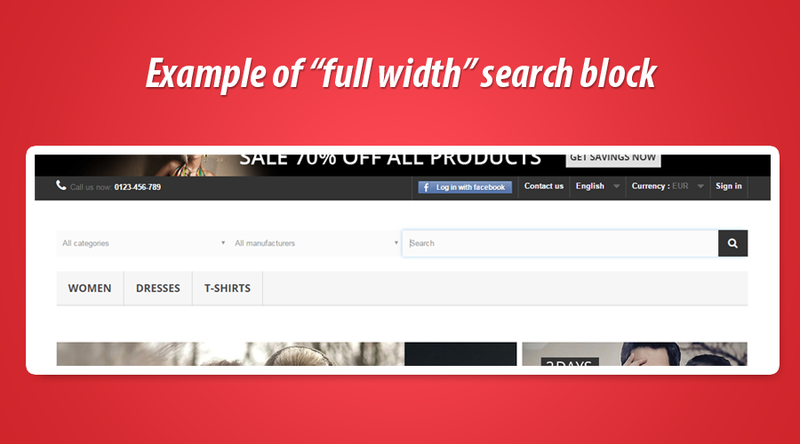 For example, this feature allows to create full width search block, 3/4 width block or smaller blocks too. 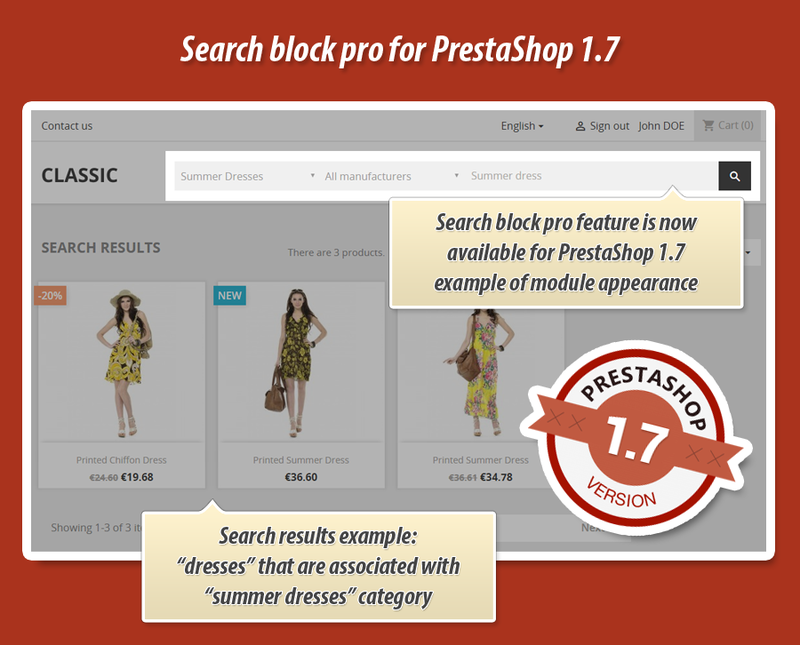 - block search pro fully supports prestashop 1.7.x now!